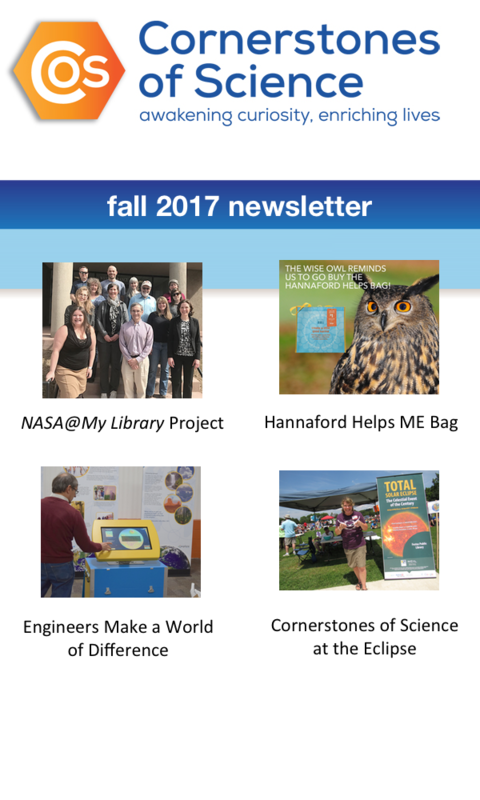 A review and activity by Susan Olcott. Find our more about Susan here! At a time of year when much seems dreary and black and white, Carole Gerber and Leslie Evans bring Winter Trees to life. The first word, “Crunch!” had me right there, exploring in the woods with the little boy and his dog. 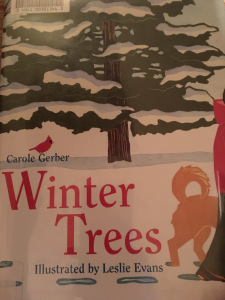 The lyrical rhyming quartets for each tree make it fun to read and the simple silhouette illustrations make what often seem like complicated structures of winter trees look simple and discernible. It concludes with a set of notes on the book’s seven trees, including deciduous and evergreens, along with the silhouettes all side by side for comparison. Brainstorm the parts of a tree and what they do – roots, leaves, trunk, branches. Introduce “xylem” and “phloem” which carry nutrients and water up and down the tree much like our veins. Children have likely noticed veins in leaves before, but never thought of these going through the trees all the way down to roots to pull water up through the tree. For a simple experiment, you need two cups and a paper towel. Twist the paper towel to make a wick. Fill one cup half full with water and put one end of the paper towel into it and the other into the empty cup. Leave it for a couple of hours and see what happens. It’s amazing how simple but illustrative this is of roots pulling up water. In the spring, sap begins to flow out of the tree and the roots continue to pull water up to replace the liquid in the tree. This is particularly neat to think about after all the liquids in the tree and the ground have been frozen over the winter. Now, as things become liquid, the tree comes back to life, its sap flows again, and we get to taste it as maple syrup! Suggested Ages – This book is great for young readers, who will like the rhyme and collage illustrations. It is also helpful as a field guide for slightly older readers who can learn the identification techniques detailed in the text and in the supplemental information following.